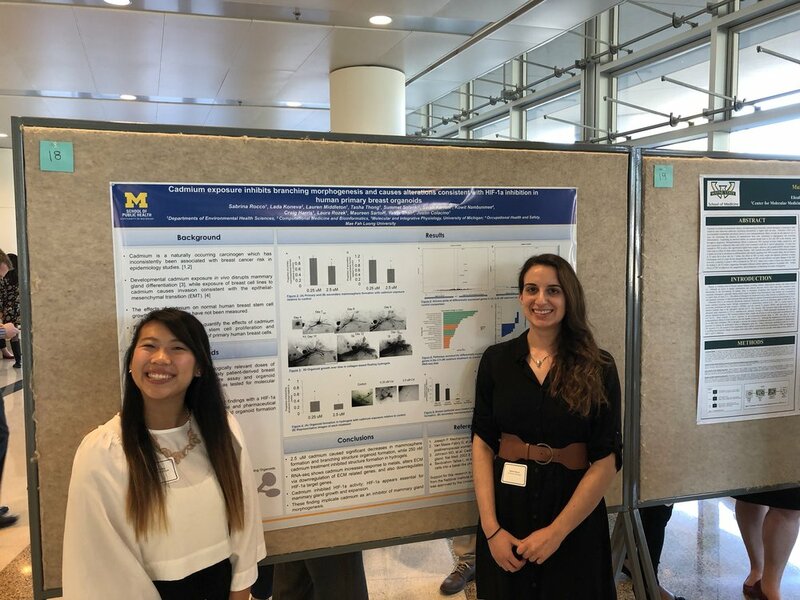 Sabrina and Tasha presented their poster "Cadmium exposure inhibits branching morphogenesis and causes alterations consistent with HIF-1a inhibition in human primary breast organoids" at the University of Michigan Developmental Origins of Metabolic Syndrome Conference on October 9th to a crowd with great questions. The conference included talks from UM EHS trainee Joe Kochmanski (in Dana Dolinoy's lab) and friend of the lab and NIEHS TaRGET II collaborator Cheryl Walker. FALL 2017 - Evan Hill joins the lab!